Most of you who know me, know how much I favor Bangkok, Thailand since my first visit in 1989 and my numerous returns. I enjoy the people, culture, hotels, and absolutely love the silk. 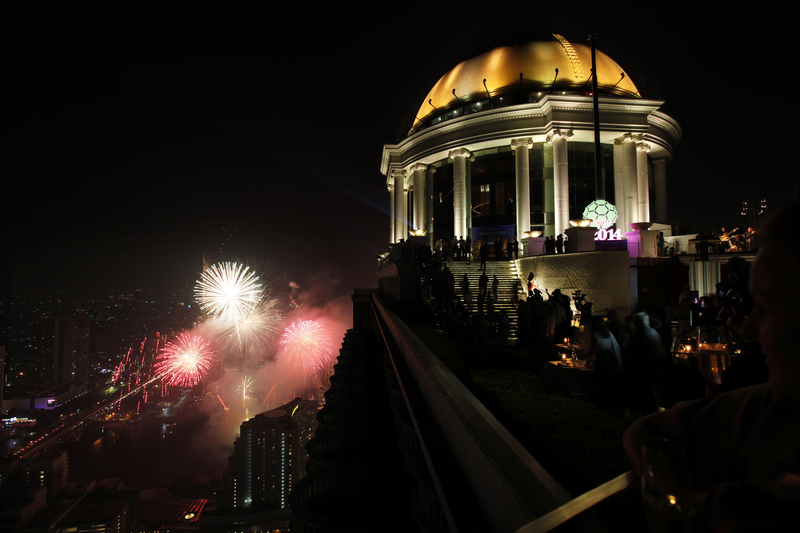 I cannot think of a better place than the Sky Bar in the Tower Club at lebua to spend New Year’s Eve. For the second year in a row, this will be the highest ball drop. You will have a front row seat, as the Bangkok Ball begins its descent of 872 feet. You will be watching the ball drop and the fireworks coming up at you. The mixologists will work their magic with various Elements Cocktail Series and celebrated chefs will serve extraordinary cuisine. This combination provides an exceptional atmosphere to welcome in the New Year. 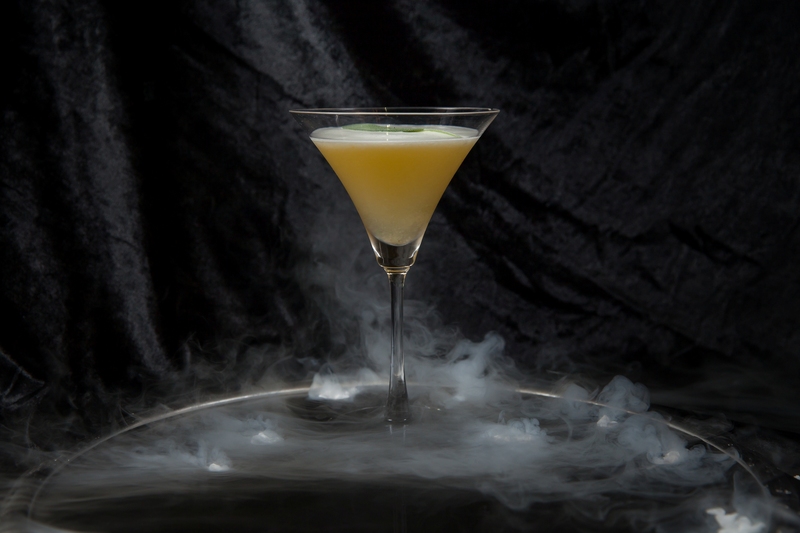 The Sky Cocktail is featured in the new Elements Cocktail Series. 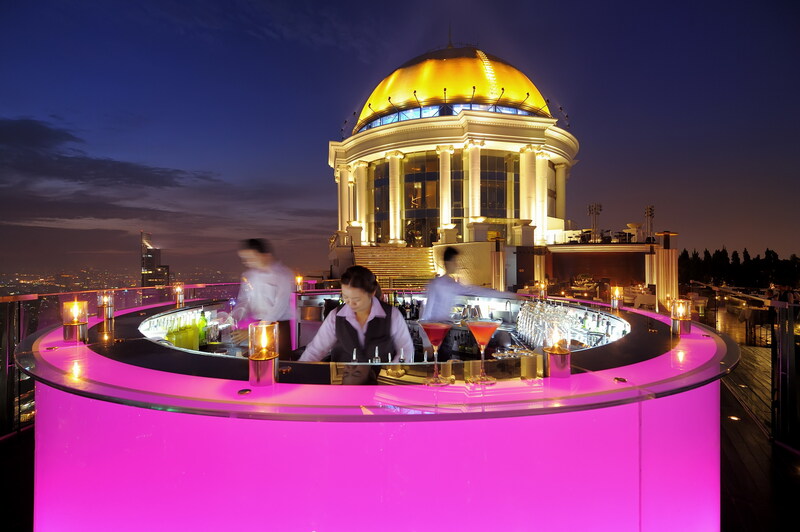 The drink will be served at Sky Bar atop the Tower Club at lebua for New Year’s Eve. Combine all ingredients in a cocktail shaker over ice and shake vigorously. Rim martini class with Parmesan cheese on top, and strain in to drink. You are ready to toast in the New Year. If I were going to ring in 2015 in this spectacular setting, I would certainly get a room reservation and spend the night. The Sky Bar is absolutely delightful. Nothing would be nicer than to have a lovely dinner in one of lebua’s fine restaurants, ring in the New Year at the Sky Bar, and retire to a comfy room. Sounds good to me! lebua is a new player during the past couple of years and certainly one to be watched. It currently has six luxury properties in Thailand, New Zealand, and India. “lebua Hotels and Resorts is a Bangkok based, internationally-expanding luxury brand that operates distinctive hotels, fine restaurants and bars. 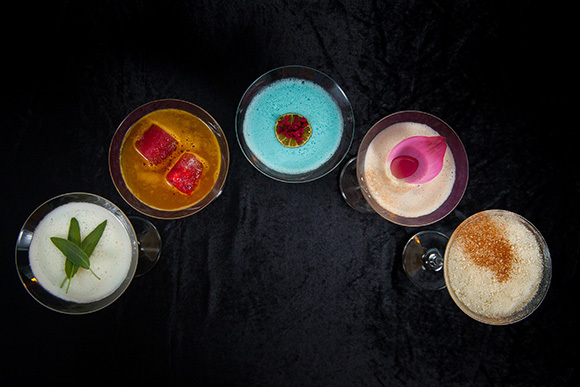 Led by visionary CEO Deepak Ohri, lebua takes an innovative approach to Hospitality, formed by working with anthropologists to create an emotional experience for guests and diners. “The company’s award winning collection includes Bangkok’s best performing luxury hotels (Tower Club at lebua and lebua at State Tower), three boutique hotels in India (Devi Garh by lebua, Udaipur; lebua Resort, Jaipur; and lebua Lodge at Amer, Jaipur), and an invitation-only lodge in New Zealand (Lake Okareka Lodge by lebua). To learn more about lebua Hotels, go to http://www.lebua.com. All resort and cocktail photos courtesy of lebua Hotels and Resorts. Feature image courtesy of shutterstock.